CHARLESTON, W.Va. – State higher education officials are applauding the efforts of Kanawha County high schools for their part in a year-long “FAFSA Completion Challenge” campaign, a countywide effort to increase the number of 12th graders applying for college financial aid. Among Kanawha County high schools, Herbert Hoover achieved the greatest gain in the number of students completing the FAFSA over the past school year. Officials applauded the efforts of staff at Sissonville High School for developing the most comprehensive and creative strategy to encourage students and families to complete college financial aid forms. 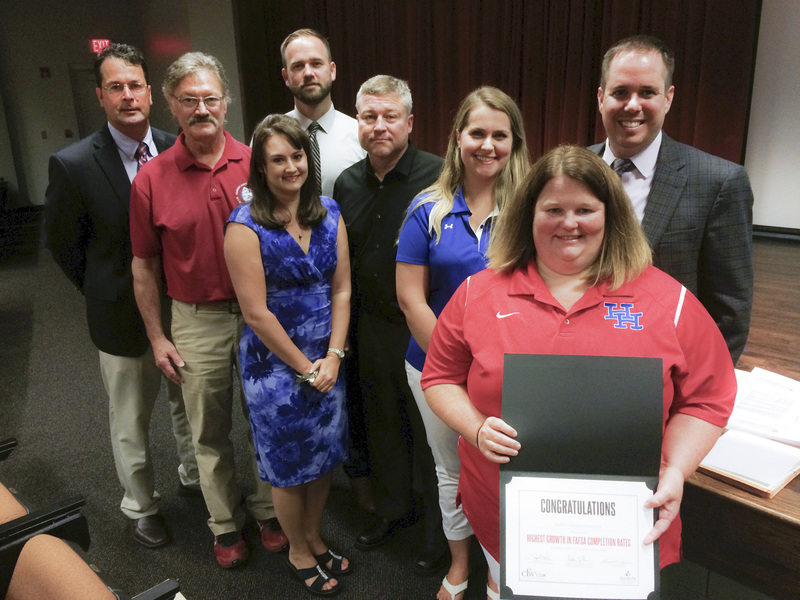 Officials presented $1,000 monetary awards to Herbert Hoover High School and Sissonville High School. Herbert Hoover achieved the greatest gain in the number of students completing the FAFSA over the past school year. Sissonville High School was recognized for having developed the most comprehensive and creative strategy to encourage students and families to complete financial aid forms. HEPC and KSC launched the FAFSA Completion Challenge in the summer of 2016 after winning funding for the effort through a grant from the National College Access Network (NCAN) and the Kresge Foundation. Dr. Paul Hill, HEPC Chancellor, said FAFSA completion is a strong indicator of whether or not students will enroll in college. Through its College Foundation of West Virginia (CFWV) outreach initiative, HEPC set a goal of ensuring that at least 60 percent of West Virginia 12th graders completed the FAFSA this year. More than 62 percent of Kanawha County seniors had completed the form by June 30 — up from 54 percent two years ago before the Challenge started. 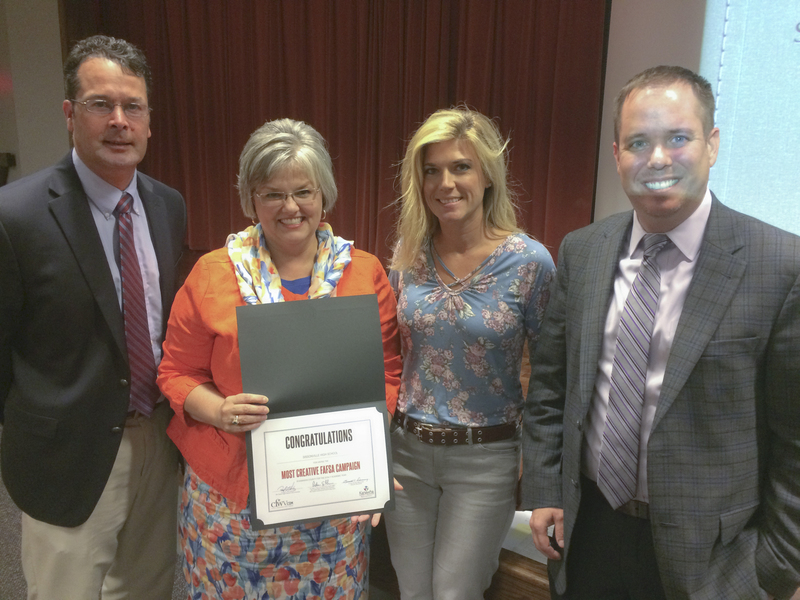 Area principals said the campaign helped them reach those students who need the most help. Students planning to attend college this fall can still complete the 2017-18 FAFSA online at www.fafsa.gov. The FAFSA for students entering college during the 2018-19 academic year will be available on October 1. For more information or free help applying for financial aid, students should visit the state’s college-planning website at www.cfwv.com or call HEPC’s financial aid staff at 877-987-7664.